All the Products supplied by ACL will have comprehensive warranty for a period of One Year against any Design / Manufacturing defects which ever is relevant as per the supply of the Product . Depending on complexity & Usage of the Systems supplied by ACL, a Scheduled Maintenance check will be carried out periodically at a mutually agreed frequency. Apart from the periodic checks at a predetermined schedule, ACL will respond to the break down calls within a typical response time of two days to ten days, depending on proximity of the Customers. ACL may decide to repair or replace the Product / Part at its option.The comprehensive warranty covers the upgradation of Library Functions, wherever Library functions are supplied initially. Any repairs / replacements needed as a result of errors in operation or abuse of available facilities provided in the product at Customers End, are not covered under Warranty. However, the required rectification will be carried out Free of charge by ACL excluding replacement of parts, if the item is under warranty. The replaced Parts will be charged at actuals. 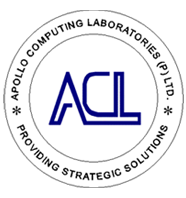 ACL disclaims any warranty for any particular application other than intended application and is not responsible for any consequential damages.